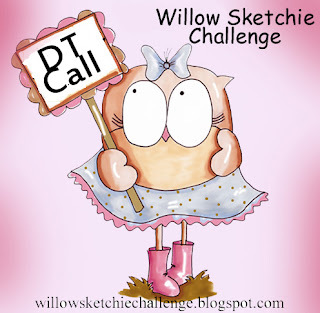 We are looking for a selection of additional DT members to join our expanding challenge blog, Willow Sketchie Challenge. What do we ask of our DT members? You will need to produce 1 card per week, you will need to have an updated blog and above all love what we do at Willow Designs. In particular, we are looking for those crafters who love to colour! Willow Designs has been steadily expanding over the last few years and are excited to be exhibiting at our very first Hobbycrafts at Birmingham NEC this November. If you would like to be part of our team please email sales@willowdesignstamps.com giving a brief bio and a link to your blog as well as a list of all current design teams you participate in (if any). Once your submission has been received you will receive an automated response.